Look over at the other contestants when they buzz in before you. Hop, skip, jump, and bounce around the board and go hunting for those Daily Doubles. You can do that. It’s your choice. Don’t sweat what those Twitter haters have to say – sweat the game. Speed up the round by shortening category names when you choose them “Asians 4” or “Writers hating 8” when the expected protocol is “I’ll take ‘Asian Continents’ for $400, Alex” and “‘Writers hatin’ on Writers’ for $800” (real examples from Monday’s show). Don’t waste any time. Keep up the pace, and your opponents off-balance. Demolish competition by Final Jeopardy. Win your 5th and 6th game. Enjoy life on Twitter. Not that you need me to tell you any of that. You’re doing just fine. If Arthur wins his seventh match tonight, he’ll likely crack the top ten all time in regards to total overall winnings on Jeopardy. Currently at #11, Chu needs about $12K according to the Jeopardy website to be one of the ten biggest winners in modern Jeopardy. Already in the top 20 of consecutive wins, Arthur needs a couple more to solidify his place in Jeopardy history. If ArtChuD2* can get to 8 consecutive wins, he would surpass Jeopardy legend Roger Craig and be tied for 5th most consecutive wins. 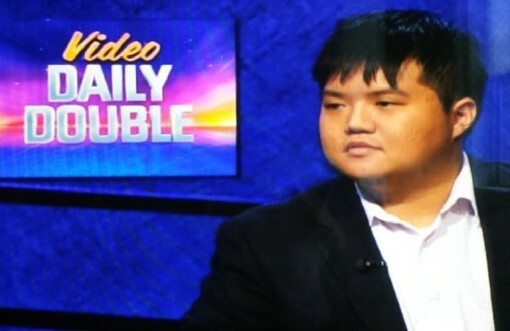 Still, Chu has a loooooooooong way to go before approaching Ken Jennings, that trivia animal won an unbelievable 74 consecutive Jeopardy matches without a loss. It’s even less believable when you see that 2nd place is a paltry 19 consecutive wins. Arthur Chu’s run ended on March 12, 2014 having won 11 straight shows with $298,200 in total winnings — both numbers place him third all-time in Jeopardy history. 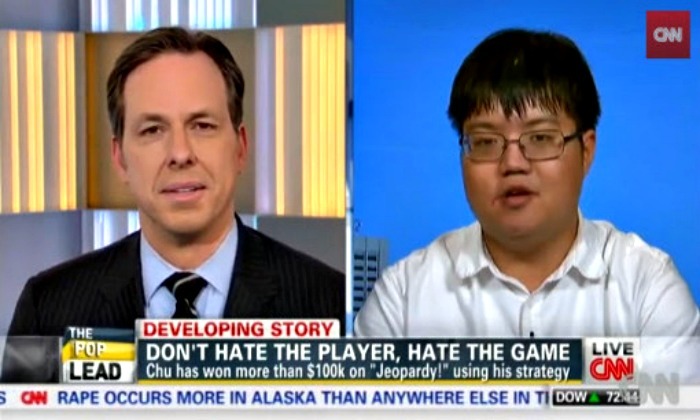 I can’t wait to see Arthur Chu and Julie go head-to-head in the next tournament of champions. We’ve been blessed with two historic champions this year. Educators champion Colby Burnett, .Why isn’t he mentioned ? 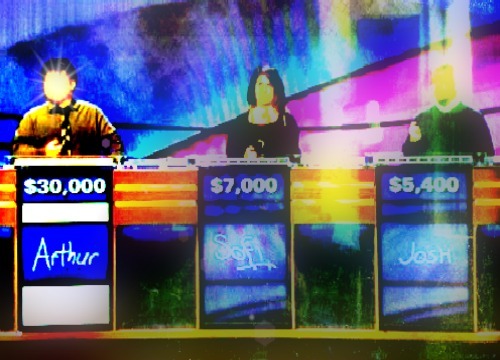 Ken Jennings won all those games because his favorite band is Guided By Voices….nuff said.. I remember Joe Boldt many years ago won a whole lot of times and he is not on the list. Hmmmm I wonder why.